Avoid allowing your social media marketing employee to use her/his own email account for registering and creating company's own Facebook page, LinkedIn profile, Twitter account, blog account, or Instagram account. It is essential to create those accounts using only company's email (i.e. socialmedia@yourdomain.com). Similarly, add a mobile number owned by your own company for your accounts, not a personal phone number for an employee. It is important to have a permission-based strategy to collect email addresses and mobile phone numbers of your customers and clients. Such database will help you addressing any PR crises by directly communicating urgent updates effectively - such as incidents where a hacked Twitter account started to post threats or nasty posts. 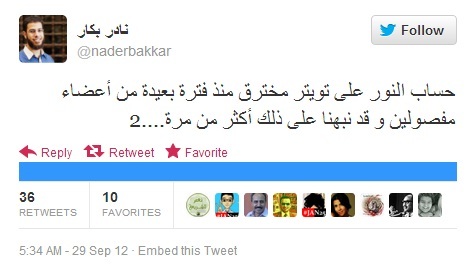 Screenshot of a tweet published by the former president while in office (September 2012). 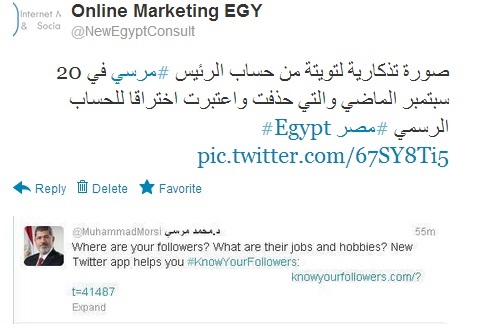 The account admin used a 3rd party application, and the tweet itself had been removed after a while.